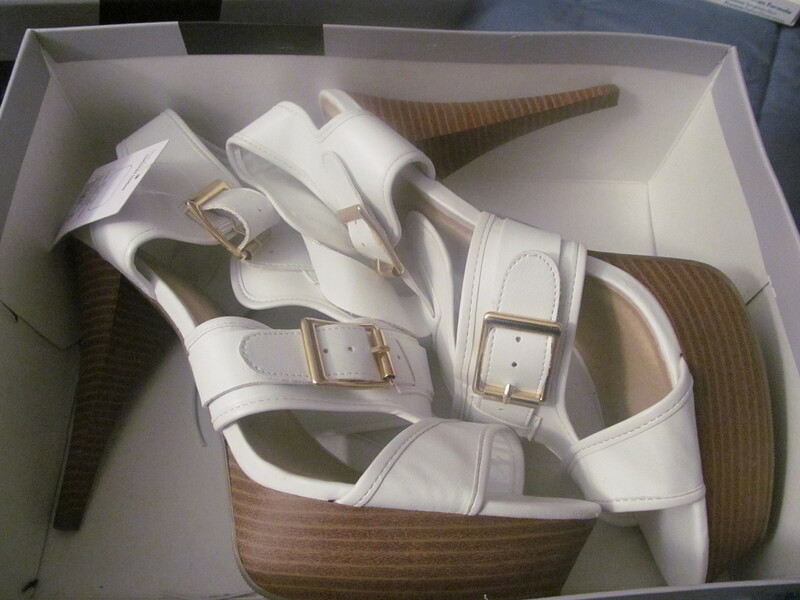 Shoe cupid has struck me again! And pretty hard this time. Guys, guys guys!!! 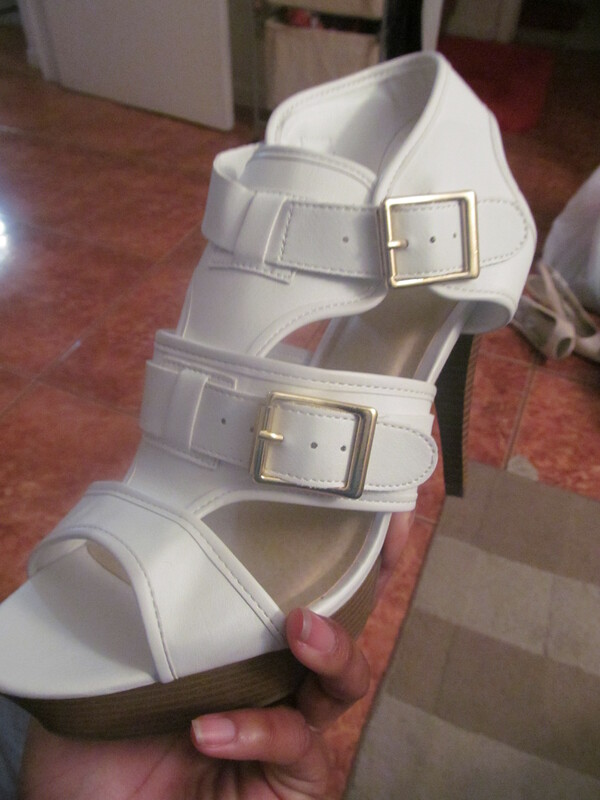 !…I am in shoelove again! Ok. Let me calm down for a moment so I can tell you about my new heartthrob. Her name is Pavan, and she is a beauty. 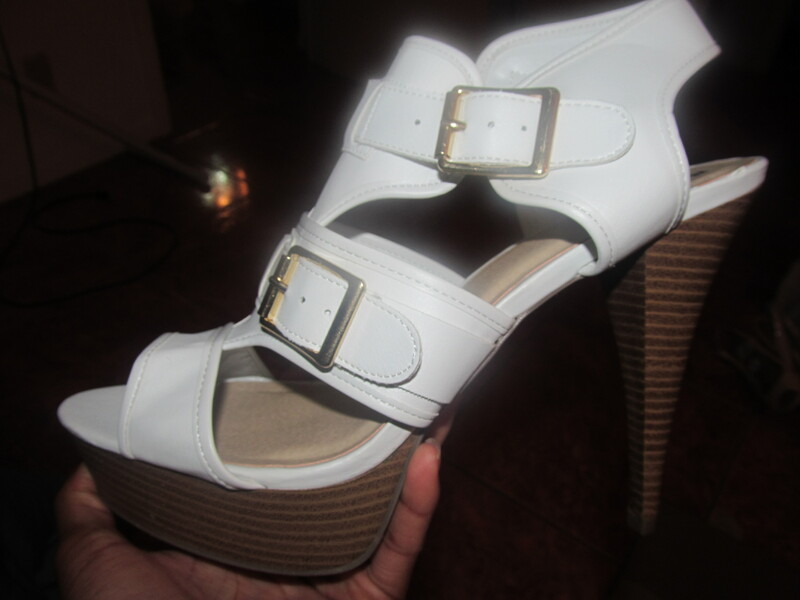 What I love most about her is that I now finally have a chic, white pair of heels that didn’t break the bank, and didn’t feel like they were going to break/injure my foot [I wonder why this combo is so hard to find these days…]. I found this gorgeous pair at Target of course, home of Mossimo. I went in with my mom, and while she covered her list, I went exploring the cosmetic and accessory sections. When I didn’t find anything that appealed that much to me I figured I’d try my luck at the one section that doesn’t usually let me down: the magical shoe section. And it certainly didn’t. The ‘Pavan’ was stuck inconspicuously between so many older styles of shoes, that I have seen over and over again [maybe it bothers me to see certain shoes repeatedly since they don’t have my size, and I get jealous of the people who have them at their disposal :/]. I saw the black ‘Pavan’ first which is ultra cute, but I hesitated at the idea since I wasn’t sure I could justify in my head buying another black pair of heels [at full price that is…on sale it would just be wrong to leave them behind lol :)]. But then I looked down. Would somebody please tell me why they always put the good stuff at the bottom?! It just makes no sense to me! Anyway, I saw the white ‘Pavan’ pair there, and decided right then that if it fit [and I could walk in it without killing myself], that I was taking it. 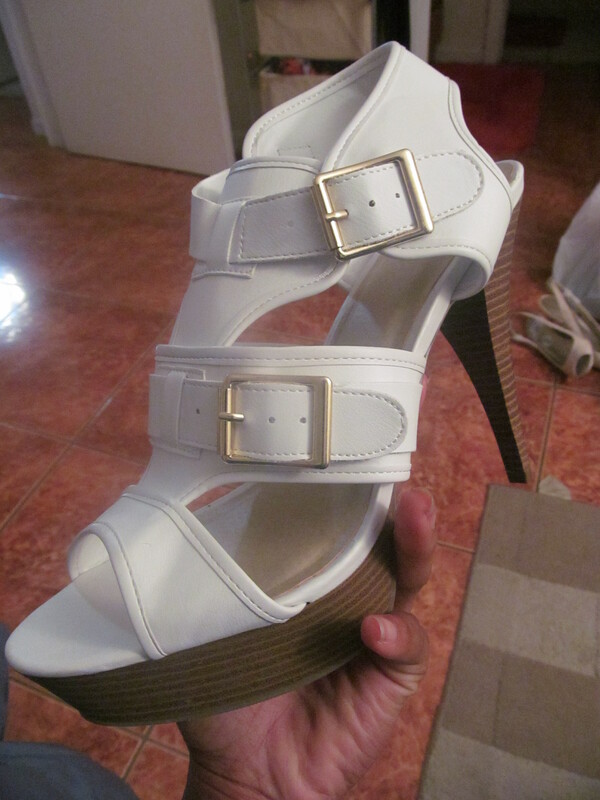 I hurried to try it on: perfection. 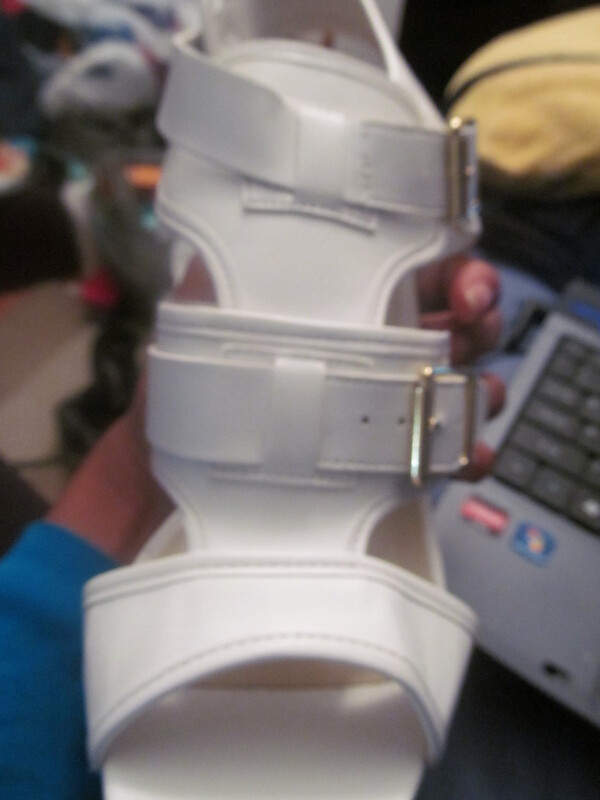 Its faux leather [really soft!!] with adjustable straps. 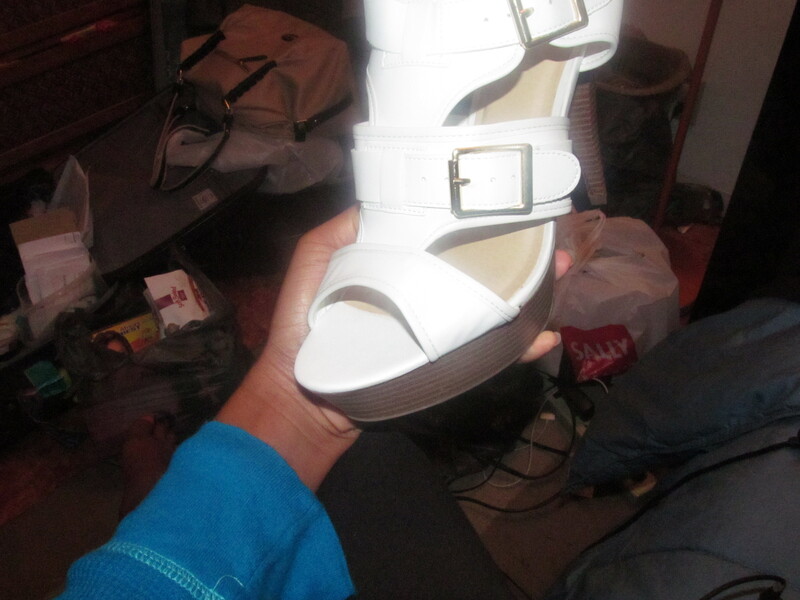 Its a gladiator style sandal, extremely comfortable. 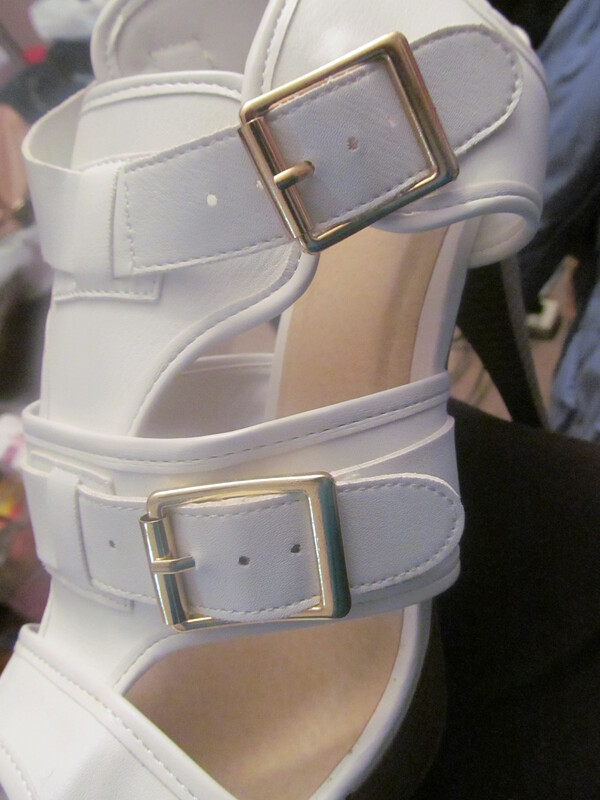 The heel is approximately 5 inches with a 1 1/2 inch platform. 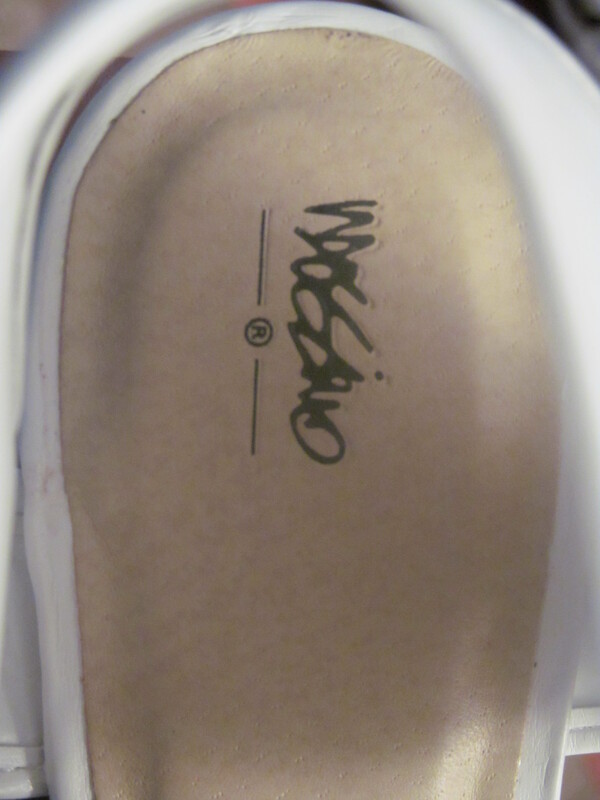 The heel is cone shaped, so I was concerned at first that I wouldn’t be able to walk firmly in them, but they are pretty good. 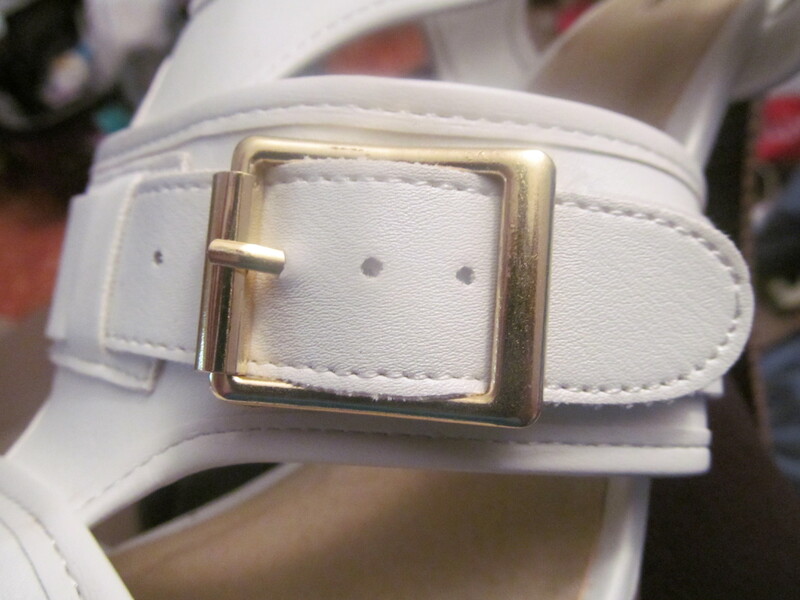 It also features detailed stitching as well as gold buckles. 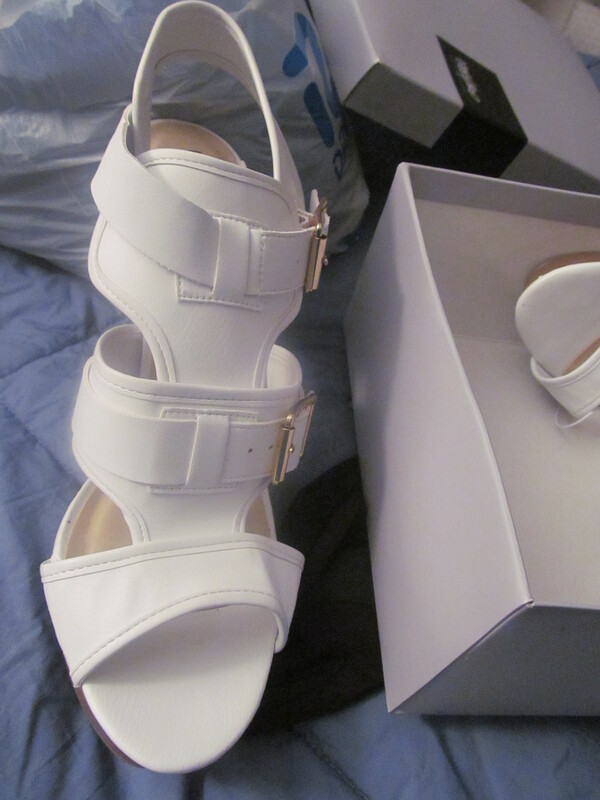 They were full price at $ 29.99 but after walking in them and seeing them on…totally worth it! Here are some pics guys, hope you like!